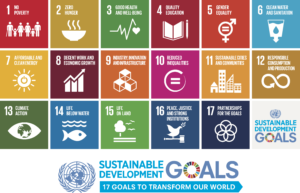 Publication: Pension Funds and Sustainable Development Goals: Be smarter, speak louder, push harder! Only a limited number of large pension funds have made the sustainable UN targets part of the investment policy. The majority does not yet do so because of lack of capacity and knowledge. The funds also play a part in the lack of clarity about financial consequences and measurability of the progress. This is evident from the research presented today by the Dutch Association of Investors for Sustainable Development (VBDO) among the largest fifty pension funds. Frank van Alphen writes about it in PensioenPro. Read this article in Dutch.